ORBIS is dedicated to the prevention of blindness … the saving of sight … the delivery of training… the transfer of skills… and the creation of a world where quality eye care, education and treatment are available to every human being. 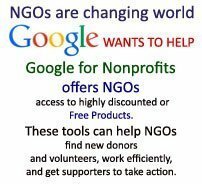 ORBIS is a non-aligned, non-profit development organization. Our mission is to preserve and restore sight by strengthening the capacity of local partners to prevent and treat blindness. 37 million of the world’s people are blind and another 124 million have low vision and are at risk of becoming blind. 75% of them don’t have to be. Millions can be cured with low-cost techniques routinely practiced in many countries. Delivering those techniques to the people and countries that need them is the work of ORBIS international. A three week training program by the ORBIS “Flying Eye Hospital” can educate 120 South Asian ophthalmologists in a new technique to treat glaucoma. Those trainees will, in turn, share their knowledge with their colleagues – multiplying the impact of the ORBIS program so that thousands of people are treated and cured. A nurse in rural Africa can be trained – in one month – to diagnose and surgically treat trachoma. One nurse can prevent up to 120 cases trachoma-related corneal blindness in a year. An eye bank is sponsored in Myanmar where the concept of eye banking and co meal donations has never existed. A new awareness emerges ad soon, dozens of healthy corneas are available for transplant. In a single year, over 100 cornea grafts are performed. ORBIS applies a simple concept to a monumental problem. Clear in the awareness that solutions to preventable blindness readily exist in many places, we work to deliver them to countries and regions where they are most needed. Since 1982, ORBIS has carried out over 700 short and long-term programs in 83 countries. We have trained more than 72,000 ophthalmologists, nurses, biomedical engineers, and other healthcare workers. They, intern, have provided treatment and training to hundreds of thousands of people in their home countries. The work of ORBIS addresses an urgent humanitarian imperative largely hidden from public view. The high rate of preventable blindness worldwide is a tragedy of immense proportion. Its toll in lost productivity and opportunely for individual lives, as well as its economic impact on whole communities, is profound. 75% of global blindness, found mainly in the developing world, can be either treated or prevented. Treatments to prevent and cure blindness are among the cheapest and most cost effective healthcare interventions available, especially when measured against the cost in lost productivity and lifelong support associated with every case of blindness. ORBIS is working to provide medical communities in developing countries with immediate and lasting access to the skills, knowledge and resources to prevent and cure the most common forms of preventable blindness. The prevention of blindness is such an important issue that in 1998 ORBIS, in collaboration with the World Health Organization (WHO), the International Agency for the Prevention of Blindness (IAPB), Christian Blind Mission (CBM), Helen Keller International (BKJ), and Sight Savers International, founded Vision 2020 : The Right to Sight, a worldwide concerted effort designed to eliminate avoidable blindness by the year 2020. Being a global leader in the efforts to eliminate avoidable blindness, ORBIS plays a key role in a number of worldwide coalitions including the Partnership Committee, an informal forum for international non-governmental organizations (NGOs) to exchange information and ideas on the prevention of blindness, low vision, education and rehabilitation of the blind. Through the promotion of cooperative programming and the development of innovative strategies, the committee ensures that eye care needs are successfully met and efforts are not duplicated. In the Air, via the world’s only airborne eye hospital and training facility, a specially rebuilt DC-10. At the Site, through scores of short-term hospital-based programs that build local blindness prevention capacity. On the Ground, through long-term programs in five countries that work to build eye care and blindness prevention infrastructure on a larger scale. In Cyberspace, through our new CYBER-SIGHT project that connects partner ophthalmologists throughout the world with one-one-one mentoring and case-by-case consultation via the internet.